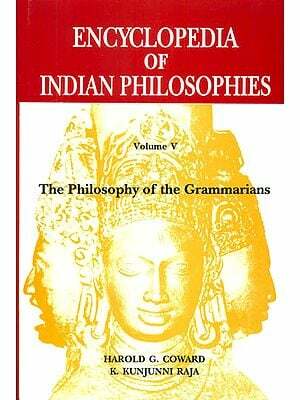 The present work endeavours to present a contrastive account of the structure of Noun Phrases in German and Hindi. With its theoretical insights and applied aspects it has come out as fairly solid piece of scholarly work. It presents a practical and effective combination of Tagrnemics and Generative Transformational Grammar with its suitable modifications. There seems to be a preoccupation to discover characteristic structural features of the two systems and intricacies of the mechanism involved in obtaining different strings in the surface structure. The search for linguistic universals is fairly obvious, particularly in some of the conclusions drawn in the work. Though German and Hindi Noun Phrases show considerable difference in the surface string, the analysis demonstrates a good deal of structural similarity in their overall syntactic structures with coocurance restrictions of a similar nature. The differences, however, are acceptable in terms of embedded underlying structures and the nature of transformations that operate on them. New proposals regarding the treatment of Determiner system of German, i. e the articles and other categories of Determiner, the behaviaur of negative particle in Noun Phrases, the treatments of third person personal Pronouns as derivative element rather than basic lexical formatives, incorporation of genitive Determiner with high degree of specificity implicit in them are quite convincing. 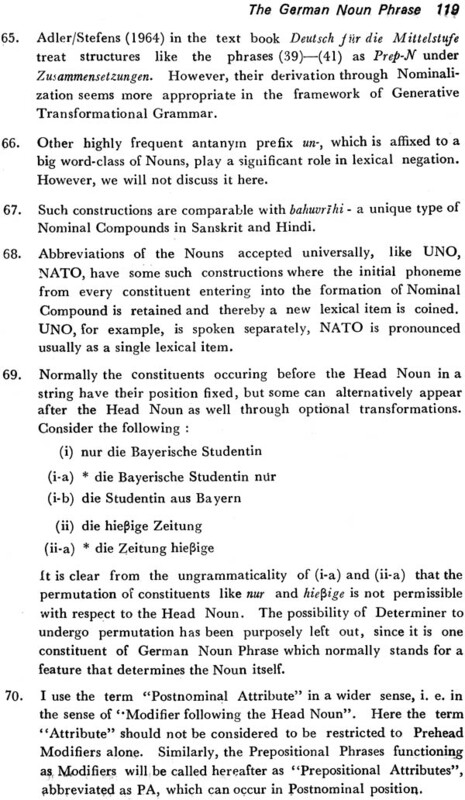 The analysis of German and Hindi Noun Phrases takes into account earlier investigators, but specification of subconstituents and their treatment is rather new in many respects. The idea of degree of specificity through other members of the class of Determiners in the absence of overt article form in Hindi matching with a set of German Determiner system is unique. Variable occurrence of emphatic prrticles hi and bhi, appearance of coordinate conjunction or as Modifier within Hindi NPs are quite interesting. The treatment dealing with the dichotomy of Posthead Modifier and Prehead Modifier is new for German and has been supported with cogent reasons, since the Posthead Restricted Modifier is highly frequent in German and is simply absent in Hindi. Advanced theories of kontrastive Grommatik would help in constructing more powerful theory of Grammer which may be used by way of improvisation in the teaching of German as a foreign language. The linguistic description for the purposes of precision and coherrence has got to be restricted in its coverage. However, besides drawing data from currently used speech and contemporary written texts, this work attempts to draw information, wherever necessary, from standard traditional grammars as well, which has improved its quality. The scholar has indeed faced the challange of the data maintaining the norms of the model adopted. The present work, therefore, IS obviously a further step in the 'Trends in kontrastiver Linguistik and has a direct bearing in the teaching of German as forign language in our country. The significance of contrastive linguistic study, particularly its importance in the teaching of foreign languages, has gradually drawn the attention of scholars engaged in the area of techniques of language teaching in general. There has been commendable advancement in the past decade in the field of contrastive linguistics. This contrastive research across German and Hindi, it is hoped, would be a significant contribution to the teaching of German as a foreign language, and may provide suitable information with adequate arguments for the preparation of teaching material as well. The works of Fries (1965) T caching and learning English as a foreign language and Kufner (1962) The grammatical structure of English and German foreshadow the importance of the comparison of genetically relatable languages. They may be considered as forerunners of the present state of contrastive linguistics. A significant problem of language acquisition is the retention of the foreign language acquired. The retroactive inhibition contributes significantly, because the foreign language acquisition is certainly an interpolated activity to an extent and therefore suffers from retroactive interference. Krzeszowski (1976), who has examined comparability in contrastive analysis, emphasises the necessity of developing of a "generative contrastive grammer". This may elucidate the description of the system to be compared, construction and rules related to underlying semantic information-a description, which could be used exactly where one of the languages lacks a system that is present in the other language. Assuming that the linguistic information, if used as input in the teaching of languages, has a potential to accelerate the language acquisition, the findings of contrastive linguistic analysis presented here will be all the more useful in the teaching of German as a foreign language to native speakers of Hindi. The contrastive analysis of Noun Phrases of German and Hindi presented here encompasses both, surface structure with which the analysis begins and the underlying structure which helps in under- standing certain intricacies of surface string. Thus, it reveals points of contrasts which underlie the difficulties of comprehension of German by Hindi speakers who learn German as and offers ways in which such difficulties may be overcome. With my own experience in learning German as L4, and my confrontation with linguistic problems in teaching German as a foreign language, I assume that it has certainly improved my competence to locate the significant contrasts between German and Hindi. In my opinion, once the teacher becomes aware of the contrasts and identities, he may envisage even better ways to overcome the difficulties depending upon the nature of the group to be taught. Though I am aware of the fact that a teachnical information of this kind may not be suitable for beginners, I would like to say that it would certainly be very useful for teachers and advanced students of German, who would naturally look for such contrasts. The presentation, therefore, has at times become rather technical, but is indeed information for all its users who would probe into it. The present work took quite some time, during which I had the opportunity to discuss my problem with some distinguished scholars, and I tried my best to incorporate their suggestions. The selection of a suitable linguistic model for this analysis was critically considered, particularly due to the criticism of the Generative Transformational Grammar about its suitability in the teaching of a foreign language. However, in course of time I was convinced that the concept of underlying structure was the greatest contribution of the linguistic theory and has potential to make teaching of foreign languages more logical, if used adequately. The analysis tends to filter out language specific features like an elaborate system of Definite Determiner in German which does nor have overt markers In Hindi and yet Hindi has the potential to express equivalent degree of definiteness with reference to Determiner in a Noun Phrase. The analysis purports to indicate contrasts and identities between Hochdeutseh and Modern Standard Hindi (MSH), though I am aware of the difficulty in defining them. Here I can only say that the degree of variation is relatively reduced at the level of syntax. Besides, for both, German and Hindi, we are concerned with more or less one variety which is substanciated by written language as well. I am endebted to Prof. S. N. Upadhyaya, my supervisor (and Head of the Department of Germanic Studies, B. H. U.) 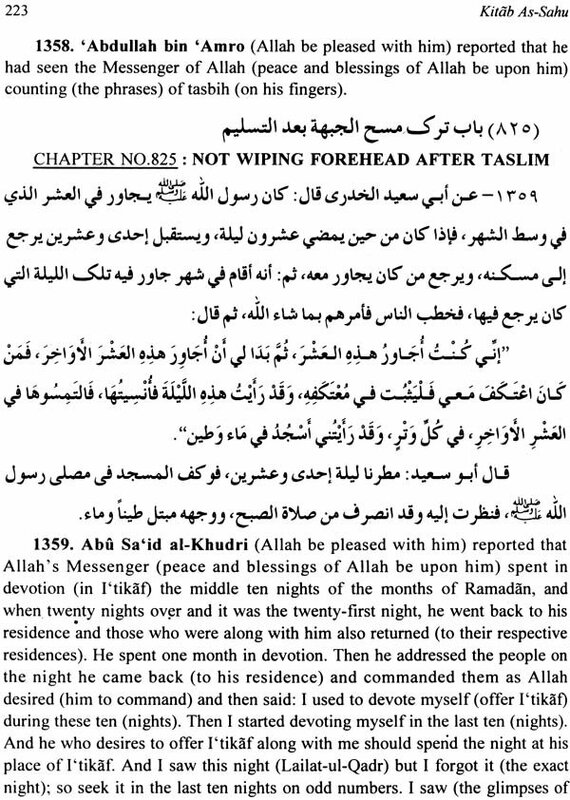 for his guidance and criticism through out this work. Whatever merit the present work may have is the result of my trying to convince him with my arguments for questions he raised. I am also grateful to Prof. Dr. G. Stickel, Director, Institut for deutsche Sprache, Mannheim, West Germany, for his patience in hearing the outline of the work at the outset during his visit to India and for his valuable suggestions. My thanks are also due to U G C and the ministry of Education of G D R for inviting me to participate in the Internationaler Hochschulferienkurs fur Germanisten in summer 1979, which enabled me to discuss certain trifling questions with Prof. Dr. (Mrs.) Ursula Forster, Karl-Marx Universitat, Leipzig. I am grateful to her for her assistance and suggestions. I would like to thank the Office of the Consulate General of Federal Reepublic of Germany at Calcutta for sending us standard German newspapers, and to the Herder Institut, Leipzig, G D R for sending journals like Deutsch als Fremdsprache and Zeitschrift fur Germanistik as aid to our research programmes. I am grateful to Prof. S. N. Upadhyaya for putting at my disposal most of the up-to-date researeh material from abroad or from his personal library. Finally, I must thank the administration of Banaras Hindu University for rating my thesis as of high standard and providing subsidy for the publication of the same. The most effective materials are those that are based upon a scientific description of the language to be learned, carefully compared with a parallel description of the native language of the learner. In the comparison between native and foreign languages lies the key to ease or difficulty in foreign language learning. He has used this assumption for the preparation of language achievement tests. Some scholars have considered in the recent past the padagogical application of contrastive researches for sketching a successful teaching plan and improving the quality of teaching material. The utility of the application of contrastive analysis in language teaching has a scientific footing and is supported by psychology of learning and psycholinguistics. The skill of learning a second or a foreign language is largely affeeted by the learning- and memorization-habits of the adult learner as compared to a child acquiring the language whose mind is open to accept the patterns of the mother tongue (which is 11 for him), and there is no scope of confrontation to another language structure. However, an adult learner learning a foreign language finds some features of it easy to grasp and other quite difficult. Elements bearing similarity with his mother to ague appear to him easy, while those which are absent in or different from his mother tongue pose difficulty for him in acquiring them. A conscientious teacher, having made a comparison of the foreign language with native language of the learner, knows better the points or difficulty at hand and other problems that may arise, and can explain them better to the learners with him. He provides an insight into the linguistic features of the two languages that can not easily be achieved otherwise. A language teacher uses this knowledge for preparation of new teaching material, or in diagnosing accurately the difficulties of students. 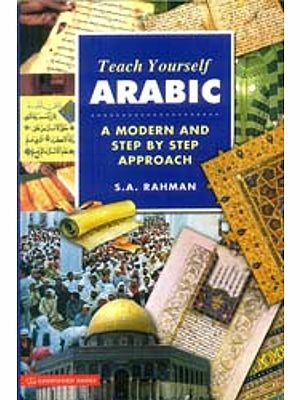 A foreign language teacher, who alongwith language structure, communicates to the students the culture of the country, should give prime importance to the linguistic comparison of two languages and cultures as compared to other advances in techniques of presentation of language and culture. In any case, the linguistic comparison forms the foundation which is obligatory, if the foreign language teaching is to be made scientific as opposed to the traditional methodology. Besides the significance of comparison between the target language and the mother tongue, the role of mother tongue itself in the process of language acquisition appears to be quite interesting. The mother tongue of the learner is an important factor in the learning of the target language and cannot be ignored. In both cases of language learning, i.e. language learning in the country in which it is spoken and language learning in a foreign country, mother tongue interference plays a significant role, especially in the case of adult learners. This interference may be felt at all levels of linguistic structures. The features of phonemes of the target language may differ in a subtle way and lead to an incorrect pronunciation." The bound morphemes, similarly, with their regular and irregular forms in the morphophonemics of the target language and the obligatory requirements of verbs differ so much that the learner finds it quite difficult to grasp. The mother tongue interference plays a very important role in the expression habits even in the case of persons who have spent long time with the foreign language. Another kind of interference, closely related to the knowledge of mother tongue, which has also proved to be of a significant role, is retroactive inhibition 'retroactive inhibition.' This is related to the use of mother tongue between the teaching hours, or for that matter interupted use of the foreign language (target language) by the learner in any other situation. This phenomenon, which is very much true in Indian universities imparting instruction in foreign languages, is a kind of interpolated activity of language use and certainly makes the retroactive inhibition stronger. The rectroactive inhibition has been described by some linguists as linguistic interference. Therefore, it would be better to make use of these habitual transfers in some way, instead of either fighting against them with the help of other means, or to try to remove them through some device, or to deny their very existence. I suppose that the application of contrastive linguistics in foreign language teaching could contribute much to check the errors and to make fruitful use of the interference which otherwise has been since long criticized. 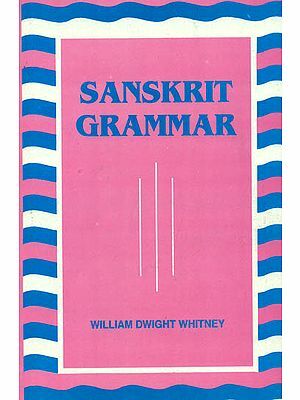 Though Chomsky (I965) has denied the applied aspect or Generative Transformational Grammar (TG), other scholars in following the theory of Transformational Grammar, which in itself is akin to Sassure's concept of "langue" and "parole", have discovered the potential of TG as an useful tool in the teaching of foreign languages, since the notion of deep structure appears to be very useful when it concerns the structures which are most specific and least generalizing. As long as it is least language specific and most generalizing psychologically, it becomes least interesting. So, deep structure of the kind envisaged here has its place within the frame of the standard theory, and therefore it may be used in explicatory aspect of foreign language studies at advanced level. Thereby it is not meant that its use in the analysis of human languages is less important. Acquisition of foreign language implies basically the use of a foreign language, actively or passively with reasonably good command in the use of surface structure. Whether one should start from the surface structure and proceed towards deep structure for the better understanding of a language, or the other way round, is not the question here. The awareness of the common deep structure related to identical or distinct surface structures in the mother tongue and the language to be acquired can make the learning of the syntactic structures more palatable, comparatively less arbitrary for both, the teacher and the learner. Attempts have been made to push the deep structure as a concept of abstractness and generality to whatever degree of depth is required to demonstrate identity between two languages concerned, or perhaps towards the universal validity of it However, considering Mc Cawley we are convinced that it would not be very desirable to make any such venture, rather restrict ourselves to a workable degree of depth so far as deep structure is concerned. At the same time we should also not lose sight of the fact that the surface structures of two languages in the study can very well be different, for they are human languages and their difference is a natural process.